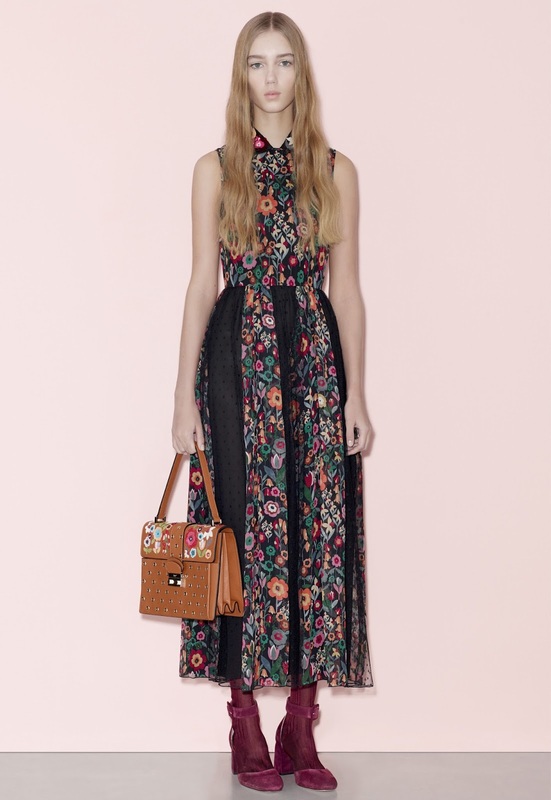 I'm such a huge fan of Valentino, so I already did know I would equally be as fond of REDValentino. 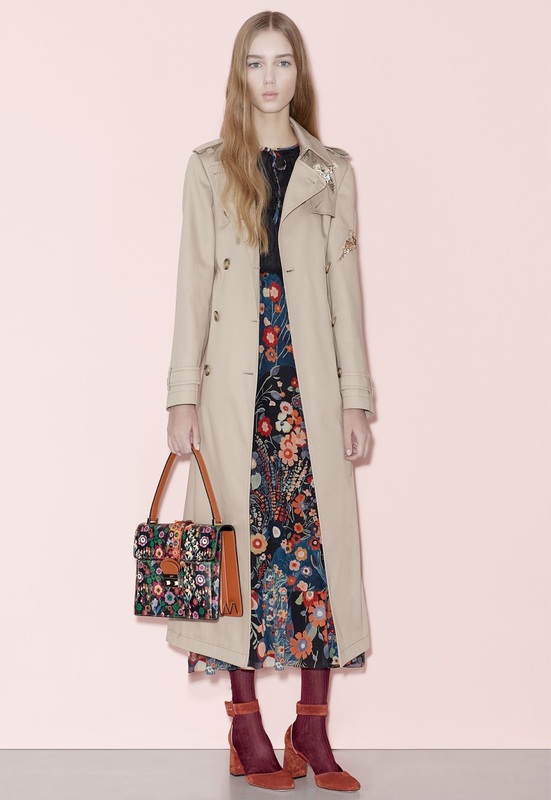 It is owned by Valentino and is the little sister of the company (Diffusion Label) - which means it is a little cheaper. That doesn't mean that the exceptional design and creativity isn't put into the diffusion label however. I thought this collection was fantastic. If I didn't known it was REDValentino, I would have definitely thought it was the main Valentino. For a Pre-Fall collection, I was surprised with the colour but it's good to see some bright colours incorporated into the Autumn/Winter months. Valentino's Creative Directors, Maria Grazia Chiuri and Pierpaolo Piccioli, obviously wanted to keep the classic Valentino influence into RED. The wanted to contrast the sweet and innocent against the different and unique - which is why I absolutely loved this collection. Very 70s inspired, and colourful is everything people want to see in the later year. I think this collection will be very successful and will bring more clientele to the brand. I think this Pre-Fall 2016 set is actually slightly different to the youthful feel that RED usually gives, with a more sophisticated and mature influence - which will no doubt catch the eye of older women, as well as keeping the client loyalty of the younger women. I loved the suede tanned coat with slight floral embroidery, and particularly loved the socks and high heeled sandal look. Bringing some Spring/Summer trends - into winter.